It’s hard to imagine a world where children were purposely separated from their parents in order to avoid them becoming attached. This attachment was seen as coddling, and it was thought that the child would grow up to be weak and a less effective adult. This was the case in Western culture up to and including the 1950s. Thanks to modern child development research, especially that of Dr. Phillip Shaver, ideas and practices around attachment have entered a new phase. This becomes of interest to the average parent when their child starts to exhibit separation anxiety. Dealing with a child with separation can be difficult. Every parent wants to make sure their child grows up secure and with good emotional health. Setting the stage for healthy adulthood starts early, and we at Strong Start Early Care and Education are proud to take part in this part of your child’s life. As the Top Rated Local® child care provider in Trumbull, we care for children from six weeks to pre-school. To learn how our program can benefit your child, schedule a tour to meet our teachers and to see our facility. 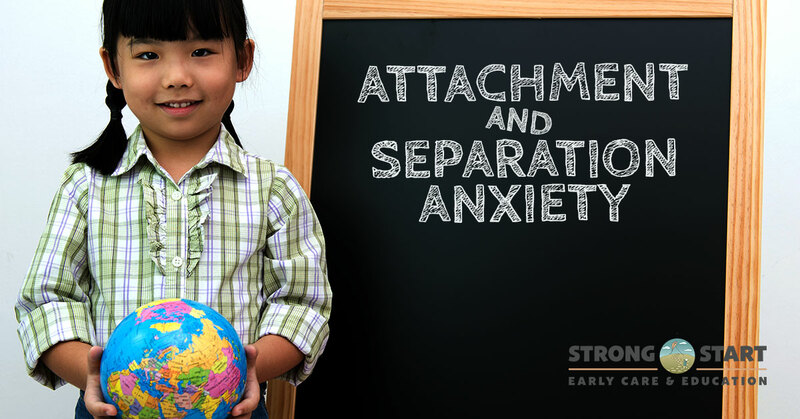 In this week’s article, we’ll cover attachment styles and how to deal with separation anxiety in children. His work centers around adults’ styles, but the styles he sets out are based on observed patterns in infants and children and are, in turn, based on the “Strange Situation” study of Mary Ainsworth. His three attachment styles are: secure, anxious, and avoidant. Even small children display behavior that is indicative on one of these styles. Whether these traits are fully based on nature or nurture it is not yet completely clear, but they are certainly strongly influenced by parenting techniques. He asserts that attachment is natural and healthy. Being attached to another person has evolutionary advantages since there is safety in numbers, and being able to depend on another person increases a person’s chances of survival. Children who are securely attached to their parent or caregiver are more likely to explore confidently, and these traits follow them into adulthood. People with this style are comfortable letting their needs be known and know how to organize their lives to have their needs met. People with Anxious Attachment Style crave attachment but often from fantasy bonds. Their clingy behavior often backfires and has the effect of alienating people, so despite wanting to bond, the find it difficult and their needs go unmet. People with an avoidant attachment style habitually distance themselves from people and often make plans, then break them. These are people who send mixed signals and string potential partners along. Almost every single child ever born has separation anxiety at some point. Some have it early, turning every attempt to set them down into the parent picking them back up and carrying them around. Others have it later when the parent tries to leave that at day car, or just for a run to the grocery store, requiring advanced planning and cajoling of every degree. Yet others wait until they hit double digits and finally catch parents who thought they had made a clean get-away from this phase. We’ll look at this middle phase since it is what we see on a regular basis. You’ll know when our child displays this behavior because they will melt down when you try to leave. You may have them holding onto your legs with arms and legs encircling you, or they may need to be retrained (gently) to allow you to get to your car. Here are some tips to help lessen the separation anxiety of toddlers and preschoolers. Don’t sneak off. This increases a child’s overall anxiety. Be sure to say goodbye to them. Keep your goodbye short and simple. If you show anxiety, they’ll mirror it. Validate their feelings, but be matter-of-fact about your need to leave temporarily. 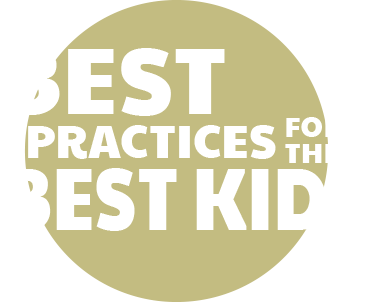 Plan ahead and try to leave your child well-rested and fed. A tired and hungry child will be more prone to separation meltdowns. Be sure to make them aware of your return. You can help your child get used to you leaving by leaving for short periods of time and then returning. They will come to understand that you’ll be back. If your child is upset that you are leaving them at daycare, take consolation in the fact that they have successfully bonded with you. This is a good thing, but yes, it does make leaving them heartbreaking. They will be okay. You know they are safe here at Strong Start Day Care. We make sure all the children in our care are looked after, both emotionally and cognitively. We use methods to nurture emotional intelligence as well as an inquiry-based curriculum to stimulate their curiosity. When you are looking for daycare in the Trumbull and Bridgeport area, be sure to turn to Strong Start Early Care and Education. We are dedicated to doing our part to help children grow into secure life-long learners. Call us today.